**Product received for consideration. Post contains affiliate links. All thoughts are 100% my own. Easter is just days away, are you ready? If you've planned ahead, you likely already have baskets put together, menus planned out and the kids' Sunday best laid out and ready to go. And then there's the rest of us... wondering how on earth it's already almost April and wondering where the last few months have gone to. Now you're left scratching your head wondering how on earth you're going to fill those baskets with days to go and no time to shop. Thank God for Amazon Prime, am I right!? Quality, affordable gifts for girls ages 2 to 12. SmitCo LLC has several different diaries with lock and keys and diary sets for girls in Emoji and Diva themes, as well as light up diaries to provide hours of fun. SmitCo products also include very popular stretch jewelry sets for little girls - all packed in cute gift boxes. 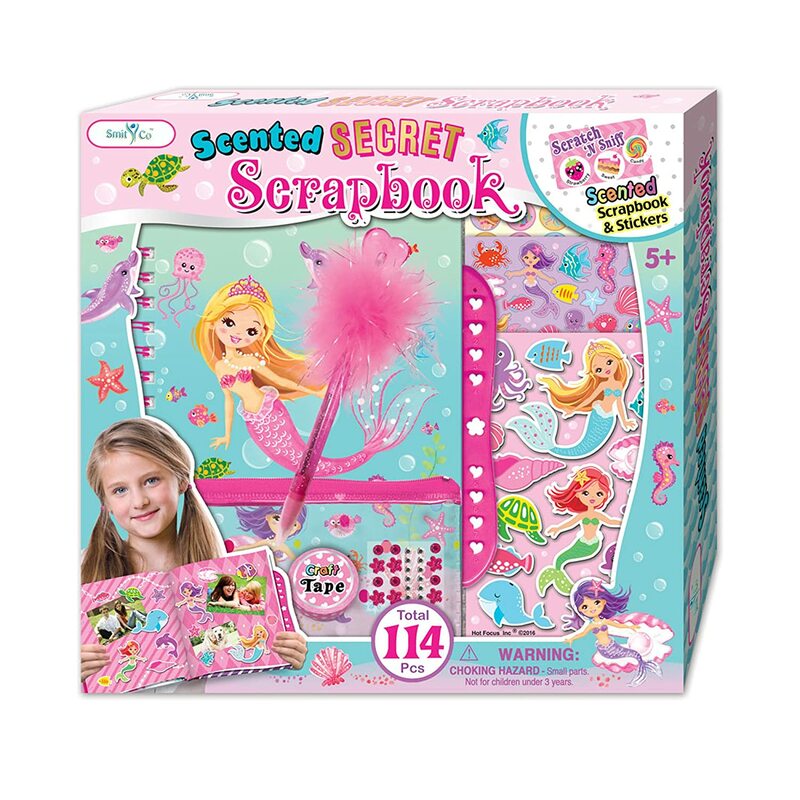 Perhaps one of my personal favorites is the Mermaid Scrapbooking Kit! This set includes the following: 9" x 7" 60 Page scented secret scrapbook with passcode lock, 1 sheet 3D stickers, 2 sheets of scented stickers, 24 pieces of self adhesive jewels,1 feather pen,1 roll of craft tape and 1 pencil pouch. 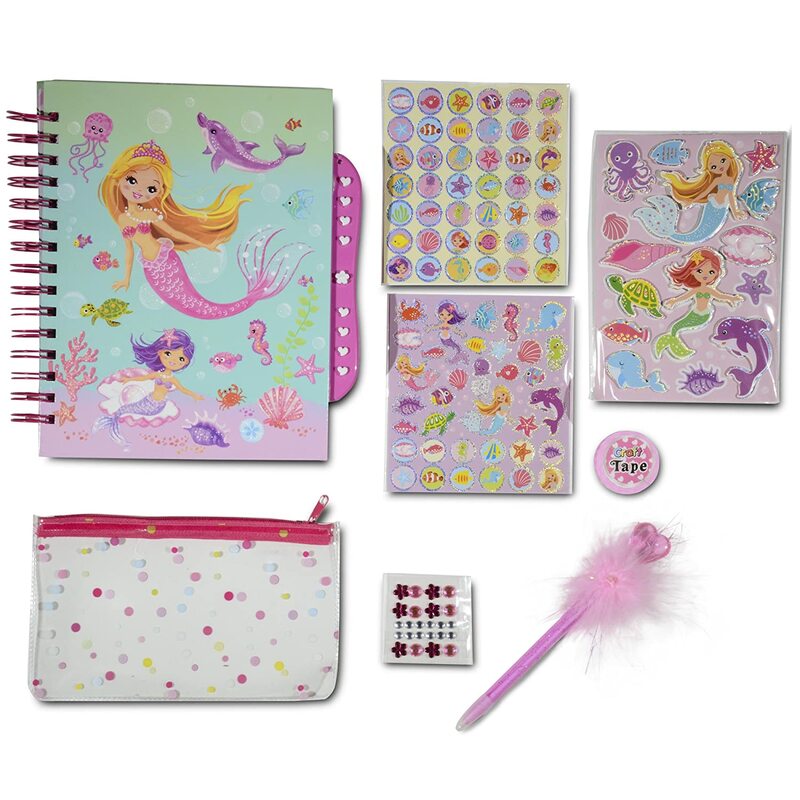 My daughter loves anything girly, and mermaids certainly make that list. But she's also a huge Trolls fan. If you've watched Trolls, you know that Poppy (the lead character) LOVES her scrapbooks. My crafty daughter has picked up on that, so she is always drawing pictures in her notebooks and calling them her scrapbook. A true scrapbook just for her with not just space for her pictures, but all the necessary embellishments to create fun pages and keep her entertained for hours!? What's not to love about that!? There's even one with horses if mermaids aren't your girl's thing!